Today we went to the Remembrance Day assembly at our kids' school and each classroom had made a wreath as a tribute. I thought they were all beautifully done. 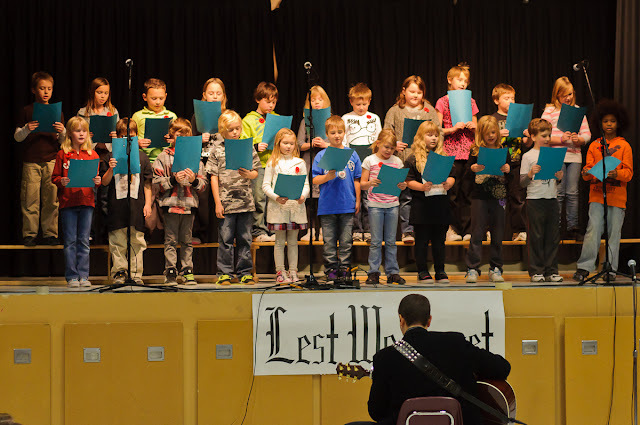 Our son Owen's grade 3 class sang a song and they did a great job! Our school did an excellent job teaching the kids about the importance of Remembrance Day.